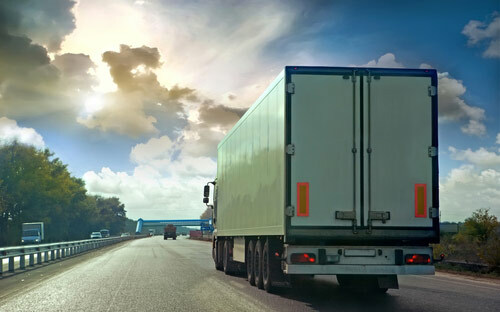 Truck Accident Lawsuits - Who is to Blame? The central question that must be correctly answered following a trucking accident is: who is to blame. Often, the answer is fairly straight-forward. If the truck driver crossed the center-line, then it is obviously his negligence that caused the accident. But even in cases like this, the answer may not be quite so obvious or there may be more than one person at fault. For instance, in some truck accident cases, a maintenance company may be responsible for failing to properly maintain the brakes or some other piece of equipment for the truck involved in the crash. Some trucking accidents are caused by defective equipment and a product liability claim against the manufacturer is necessary. At the Law Offices of John Day, our experienced truck accident lawyers know how to investigate your truck accident case to make sure all at-fault parties are held responsible for the crash. Truck accidents can cause devastating injuries ranging from broken bones, brain injuries, burns, spinal cord injuries and even death. Our team of award-winning truck accident attorneys will make sure you and your family get the compensatory damages and, if appropriate, punitive damages you deserve for your injuries. If you would like to have a detailed discussion of your truck accident case in a free, no-obligation consultation, contact us online or call us anytime at 615-742-4880 or toll-free at 866.812.8787. We only get paid if we win and we advance all case expenses so you are never out of pocket any money to pursue your truck accident case.